It may be too far-fetched to claim that sales makes the world go round, but is it really? Think about it, without sales (and marketing), a company has no one to advertise and sell their products and services, and therefore cannot make money or grow. That’s the simple answer to the simple question as to why sales are essential any company’s growth, but truthfully there’s more to it than that. 1. One reason that sales jobs are so important is because they can be recession proof. 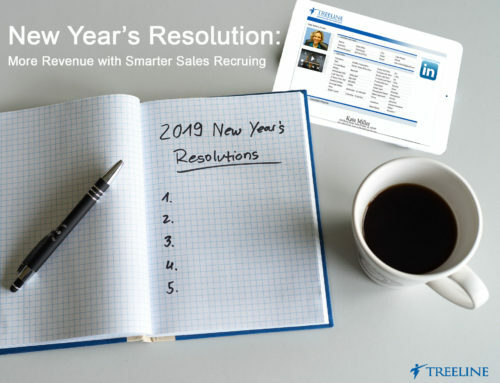 Whether it’s business to business, business to consumer, outside or inside, or hunting or farming, sales jobs are there to help build business and opportunities, ultimately increasing revenue growth. And a talented sales team is invaluable in achieving growth. Yes, economic turmoil hurts and no company likes to lay off employees, but in order to grow companies must invest in human capital to achieve growth. 2. Sales jobs are not only in high demand to promote products and services, but they’re also important because they create a link between businesses and consumers. Sales professionals provide the human element in the buying process. They are the people who build relationships and propel business. Remember, people buy from people they like. The ethical salesperson will always look to build partnerships and establish trust. Salespeople, must constantly overcome objections and negative stereotypes, but through persistence and relationship building they achieve success. 3. Sales is absolutely essential for building brand and gaining market share. Think about big logos, you know those global corporations. People know what they sell, what they do, and how to find their products and services. And yet even though these companies are so renowned, they all have high a demand and need for sales reps to join their team. They are constantly optimizing and coming up with new products and services, so they still need individuals to go out and actively find customers and sell. Even with a huge existing customer base and a self-propeling brand, these huge companies are STILL investing time and money in finding talented sales representatives to go out and find new customers. And on the flip side, small start-up companies understand the importance of not only developing cutting edge technology but developing a team of sales professionals to go out and sell their products and services. Regardless of the economic climate, a sales team is always a vital piece for every company to achieve growth. Having the right sales team in place can make or break a company’s success, that’s why sales jobs are THE jobs.